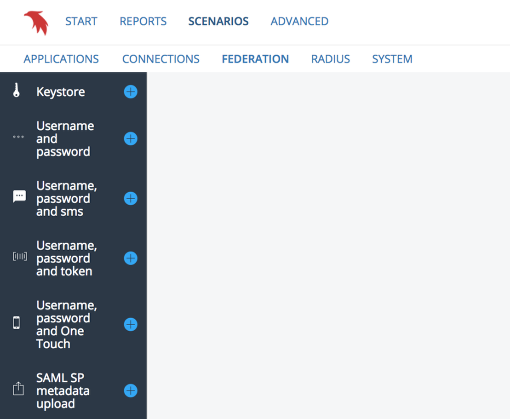 Federation scenarios allows for admin to configure SAML federations where PhenixID act as an SAML IDP with multiple ways of authentication. Even though a scenario does not fully meet the requirements it is a good way of getting a lot of baseline configuration done. From there additional configuration is quick and easy. From the menu select the most appropriate scenario. In order to get the IDP fully functional you will need a key pair stored in a key store formated in pkcs12 format and upload it to the server. This is described here. Also SP meta data needs to configured. This is described here.